Chancellor Philip Hammond is considering a drastic lowering of the VAT threshold for small firms, according to government sources. He is believed to be looking at changing the the level of turnover at which 20% VAT is payable from £85,000 to £43,000. The change would impact on half a million small firms and the self-employed and a report from the Office of Tax Simplification suggests that it would raise between £1 billion and £1.5bn for the Treasury, according to the Financial Times. But reducing the threshold risks sparking another backlash from those small firms, including Conservative supporters. 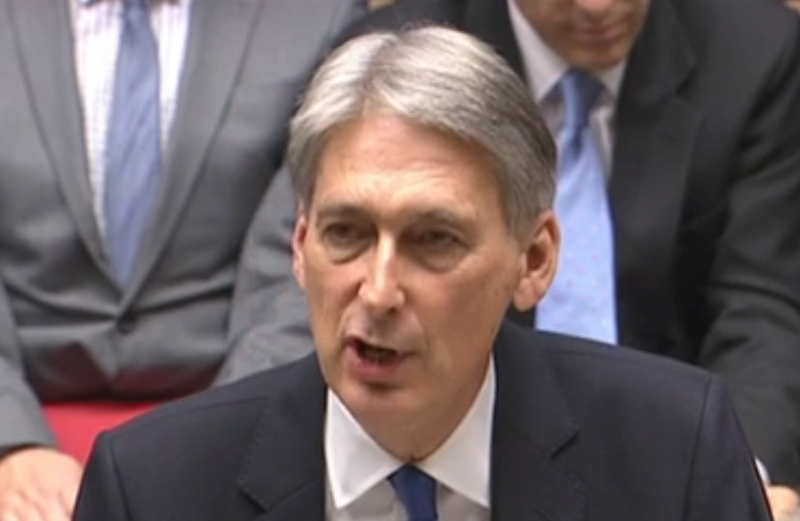 Mr Hammond was forced to withdraw his plan to increase national insurance contributions paid by the self-employed which he announced in his March budget. SNP economy spokesman Kirsty Blackman said: “In the last Budget, the Chancellor attempted to go after the self-employed with an ill-thought out plan to raise National Insurance contributions before his embarrassing U-turn. “This time Philip Hammond is reportedly planning to punish small businesses by reducing the VAT threshold. “At a time of huge uncertainty and instability for small and large businesses caused by the Tories’ chaotic Brexit plans, the very last thing the Chancellor should be doing is creating more upheaval, in an attempt to make up for their mismanagement of the economy. “Philip Hammond should instead follow the lead of the SNP in government. Its Small Business Bonus scheme has already paid out more than £226 million in rates relief to small businesses for 2017/18 – amounting to an average saving per property of more than £2,000. “Now more than ever, the UK’s small businesses – often run by the self-employed and families – need a government that understands their needs and which will assist them in growing sustainably and productively, enabling them to contribute to the economy and secure and create jobs. An economic think tank claims the Chancellor is in an unenviable position heading into the Budget because of public dissatisfaction with austerity measures, while also having to contend with anticipated higher budget deficits over the medium term. The EY ITEM Club says the good news for the Chancellor is that public finances performed markedly better than anticipated in the March Budget over the first six months of the fiscal year. However the group expects the Chancellor to remain committed to the fiscal targets he set out in the Autumn Statement in November 2016. This could limit the potential for significant Budget giveaways – unless they are funded by revenue raising measures found elsewhere. Howard Archer, chief economic adviser to the ITEM Club, says: “The Chancellor is getting squeezed on both sides. He is under pressure to increase levels of public spending, but he now faces larger deficits over the medium-term and he has to square the circle. “If he has the appetite, the Chancellor could choose to take some bold measures in the Budget while maintaining fiscal discipline.